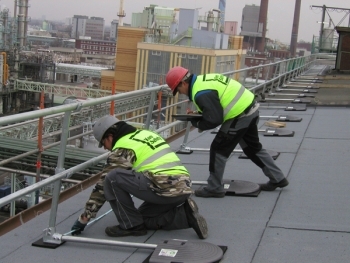 Kee Safety is a global manufacturer of safety and fall protection systems fully committed to Separating People from Hazards. Established in 1934, Kee Safety has a proud history of developing strong partner relationships, world-class customer service, and leading the industry in new product development. You already know Kee Safety as your reliable material supplier - please also consider Kee Safety as your industry partner, fully committed to the success of your organization. You will become an integral part of an expert team! As a Kee Safety partner, you receive exclusive partner value on materials and products. This allows you to see returns on both the installation and material portions of every project. Product training is an important part of our commitment to our partners. Product training is available to your staff at your facility or in our training center located in Buffalo, NY.